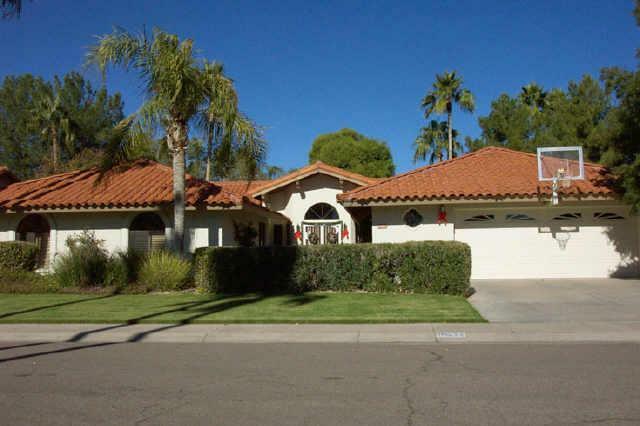 Paradise Park Manor in McCormick Ranch boasts some of largest homes in Scottsdale’s first master-planned community. Developed (primarily) by the Von Dix Construction Co, there are two adjacent phases. The first phase of Paradise Park Manor is dotted with more infill custom homes than its sister, thereby increasing property values ever so slightly above those in the neighboring Paradise Park Manor 2. Both share similar amenities and boast immediate access to the greenbelt / walking path and predominantly boast Spanish architecture with tile roofs (with a few Tudor style homes thrown in for good measure). Lot sizes for both phases average around 1/4 acre (10,000-12,000 sq ft) in accordance with the R-10 zoning. The 64 homes in Paradise Park Manor 1 average 3335 square feet in size; 55 of which are single-level, and the remaining 9 two-stories. A whopping 62 (97%) have private pools. Homes in phase 1 were built between 1982-1984, with the most recent re-construction (tear-down of existing home and rebuild) occuring in 1998. The 99 homes in Paradise Park Manor 2 average 3418 square feet in size; 81 of which are single-level, and the remaining 19 two-stories. 97 of the 99 homes (98%) have private pools. Homes in phase 2 were built between 1980 and 1984. The 5 homes in the replat of lots 130-134 of Paradise Park Manor (custom infill in the original phase) are semi-custom properties that average 3554 square feet in size; 4 of which are single-level, and 1 is a two-story. 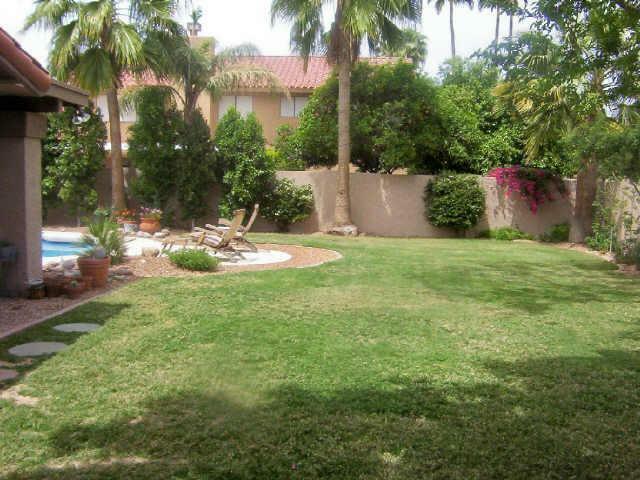 All 5 properties have private pools. 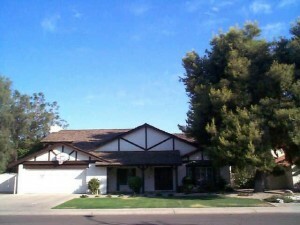 These homes were built between 1984 and 1986. View the McCormick Ranch Home Floor Plan page to learn more about these houses. 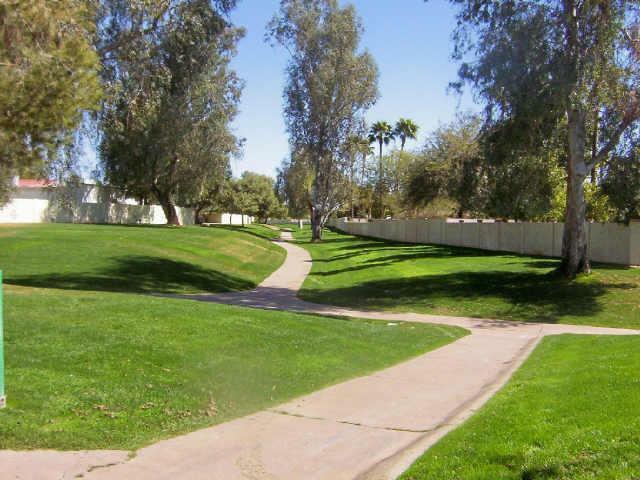 Paradise Park Trails is bound by Arabian Trail on both the East and West (makes a semi-circle), Mountain View Road on the South and the community greenbelt to the North (runs just behind the last row of houses on E. Cheryl Dr). 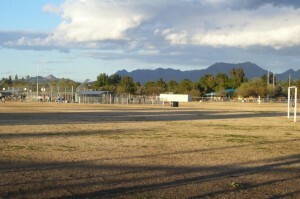 Neighboring subdivisions include Paradise Park Trails, Tierra Del Norte and Country Horizons. Directly across Mountain View Rd is Mountain View Park (complete with community rec center, tennis courts & basketball courts, soccer & baseball fields) and the adjoining Cochise Elementary School. The walking path which passes under Mountain View Road allows residents to access each (and the rest of McCormick Ranch beyond) without crossing a major street. While not located in the immediate vicinity of the community lakes, residents do have boating and fishing privileges as well. 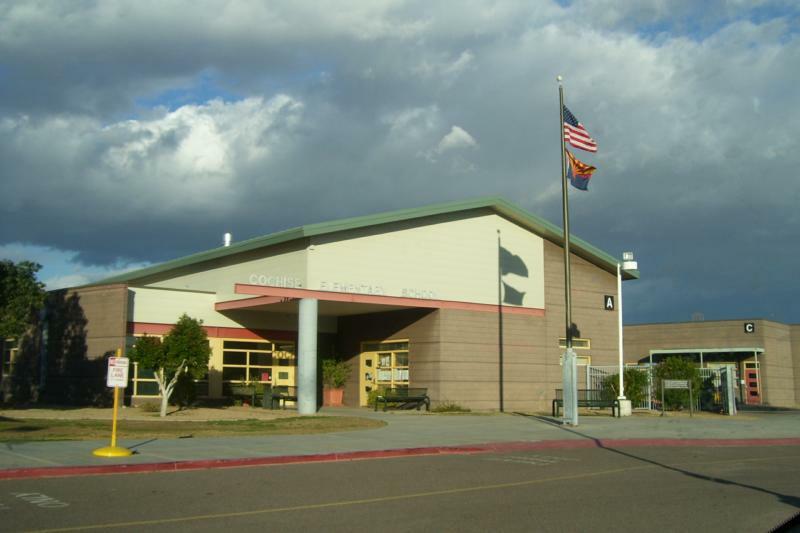 In addition to Cochise Elementary, the Paradise Park Manor neighborhood(s) fall within the Cocopah Middle School and Chaparral High School districts. In addition to the numerous businesses and conveniences to be found along the Shea corridor, the shopping plaza at the corner of Hayden and Mountain View serves as a terrific neighborhood resource. In addition to the obligatory gas station, dry-cleaner and fast food joint (Burger King), there are a few great mom & pop style businesses. JP Pancake, not surprisingly, is a breakfast favorite, while Joyful Chinese Dining (formerly known as Eddie Chan’s Fine Dining) and Leccabaffi (Italian cuisine) take care of dinner. Ranch Pharmacy and Desert Tails Animal Clinic are noteworthy as well. To the immediate East, 90th St is notable for Home Depot, Petsmart, Barnes and Noble, Shea North Scottsdale Healthcare Facility (hospital) and additional dining establishments and places of business to numerous to count. See all Paradise Park Manor. 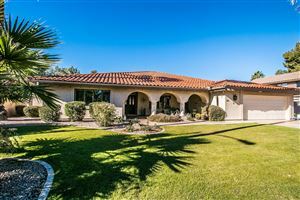 Buying or selling a home in McCormick Ranch? 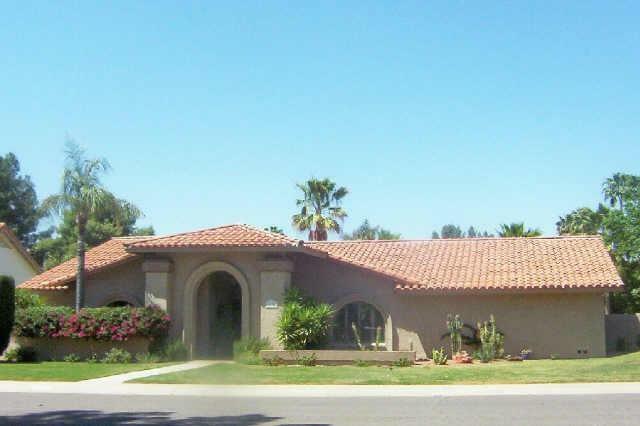 Put over 50 combined years of experience selling McCormick Ranch Real Estate to work for you!